Music Makers: Indian Rosewood & Spruce Larrivee parlor guitar, Adirondack Spruce & Brazilian Rosewood Gibson Advanced Jumbo guitar, Eastman Uptown AR910CE arch top jazz guitar & Henrikson Jazz Amp & Analysis Plus Yellow Flex Oval guitar cable. Years ago now -- about 1996 I think -- I was the proud owner of a Pass Labs Aleph 3. I fondly referred to the Aleph 3 as my porcupine amp because of its pointy wrap-around cooling fins. The Aleph 3 was a simple two gain-stage affair with 30 watts of stereo power and a single-ended MOSFET output stage. Its simplicity, excellent sonics and musical soul made the Aleph 3 a big hit with HiFi enthusiasts, who spoke of it as being equal to the best direct-heated single-ended-triode (SET) amplifiers of the time. In retrospect, letting that awesome little Aleph 3 get away from me was perhaps the biggest bone-headed move I've committed in audio. 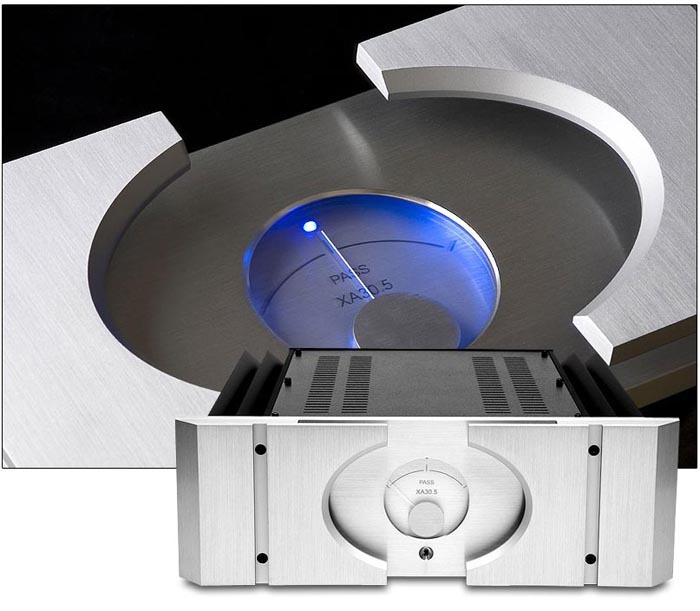 The new Pass Labs XA30.5 power amplifier is a direct evolutionary descendent of that long gone Aleph 3 and like the Aleph 3 of old, it is the lowest powered amplifier in Nelson's XA.5 product line at 30 watts. This particular Pass amplifier's evolutionary time line starts with the Aleph series, progresses to the X amplifier designs, then to the XA amplifier designs and finally ends up at 2008's X.5 & XA.5 iterations. 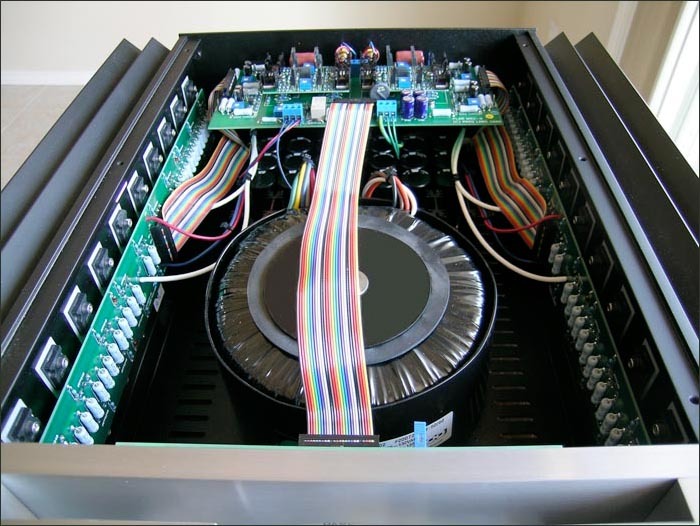 The Aleph single-ended MOSFET amplifiers were breakthrough products in transistor design, having high-performance sonics, a touch of tube-like warmth and a level of smoothness and musicality that for the day was unparalleled in solid-state designs. 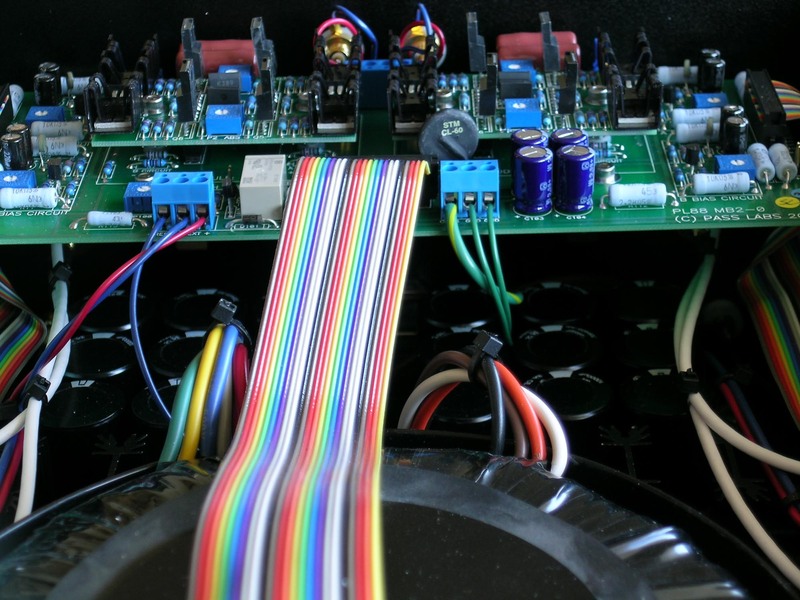 However, the Aleph amplifier could not be easily scaled to high-powered designs so Nelson Pass began working on a new platform, the X circuit, that would allow scaling of simple circuits to higher power. The X used "matched balanced amplifiers cross-coupled to cancel distortion and noise" patented as Super Symmetry. 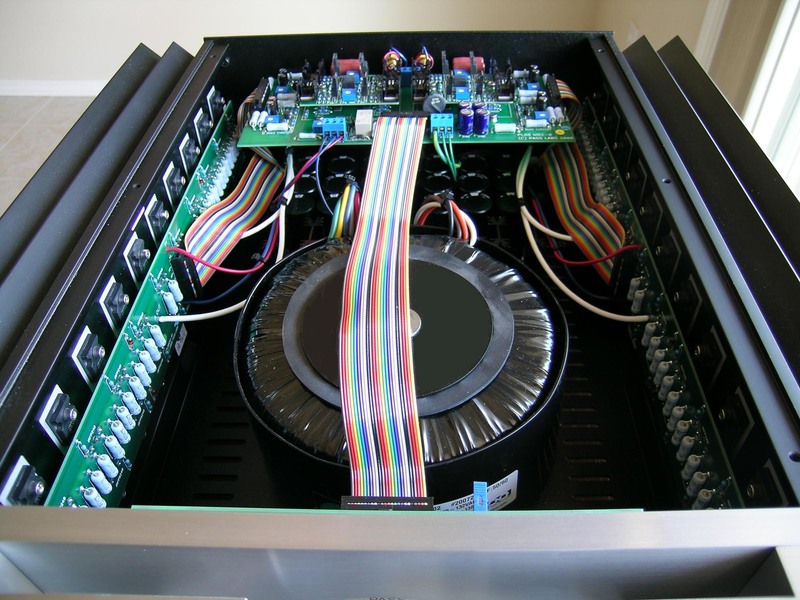 As the end result of this research, Nelson introduced the X1000, a 1000-watt amplifier with two gain stages and a small amount of local feedback, which maintained a good portion of the smaller Alephs' suavity in a powerhouse design. The next evolutionary step was the XA amplifier series where Nelson's goal was a design that could be scaled to somewhat higher power while being warmer and sweeter than the X amps. To do that, Nelson combined the X circuit with the Aleph circuit to get a balanced single-ended class A design that used an X front end with two balanced Aleph amps at the output. Nelson felt that the XA retained the warmth and lushness of the Aleph amplifiers with less coloration and better dynamics. The latest evolutionary step are the X.5 and XA.5 amplifiers. These are not completely new designs but rather a refinement of the existing XA topology. 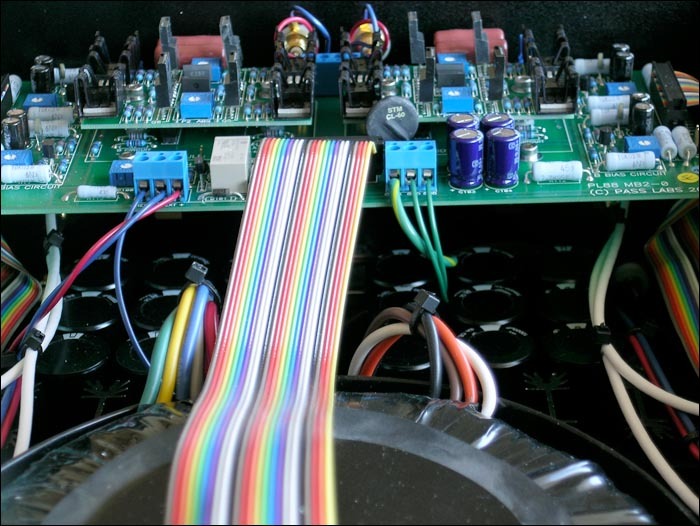 In the X.5 series, Nelson replaced the input differential MOSFETs with the JFETs he uses as inputs for his phono stages to result in lower noise and then added more MOSFET followers. Nelson also used a class A bias on the output stage, a new bias circuit, improved power supplies and a new circuitry layout. Nelson says these changes lowered distortion, provided greater control, gave greater stability, resulted in lower noise, provided better bias control, allowed for higher efficiency with more power and resulted in greater overall reliability. The XA.5 amplifiers incorporate all of the X.5 improvements but operate in pure class A for even lower distortion and better control of difficult loads. Nelson says the XA.5 amps also give the listener a more musical balance by delivering greater warmth, sweetness, depth and space - qualities which Nelson feels are significantly improved over their evolutionary predecessors. The Pass XA30.5 is built to an incredibly high standard both inside and outside as you can see in the accompanying photos. You'll want to be a little careful handling the XA30.5 as it is on the heavy side and the machined aluminum faceplate has a number of sharp edges that can give you a nasty 'cat scratch' if they come in contact with your skin.